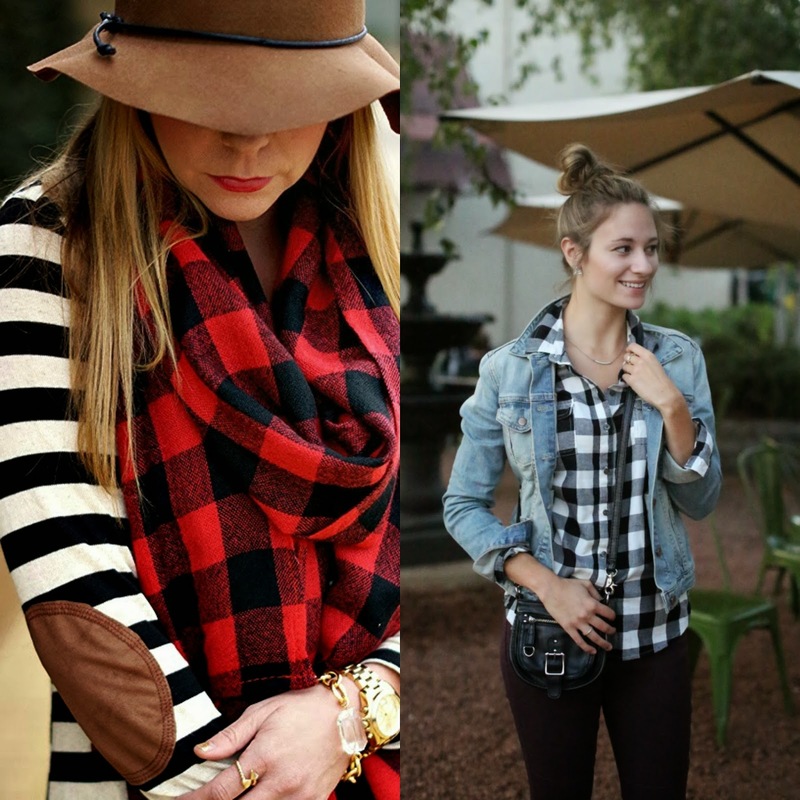 Buffalo plaid wasn't even on my radar until you posted it yesterday and now I want it all!! All! Looks like Gap and Old Navy are winning again. ohh that puffy vest! I must have it!! I've been wearing my plaid non-stop ever since it got chilly in Chicago in the mornings. :P Definitely my favorite part of fall! I have always loved this print. 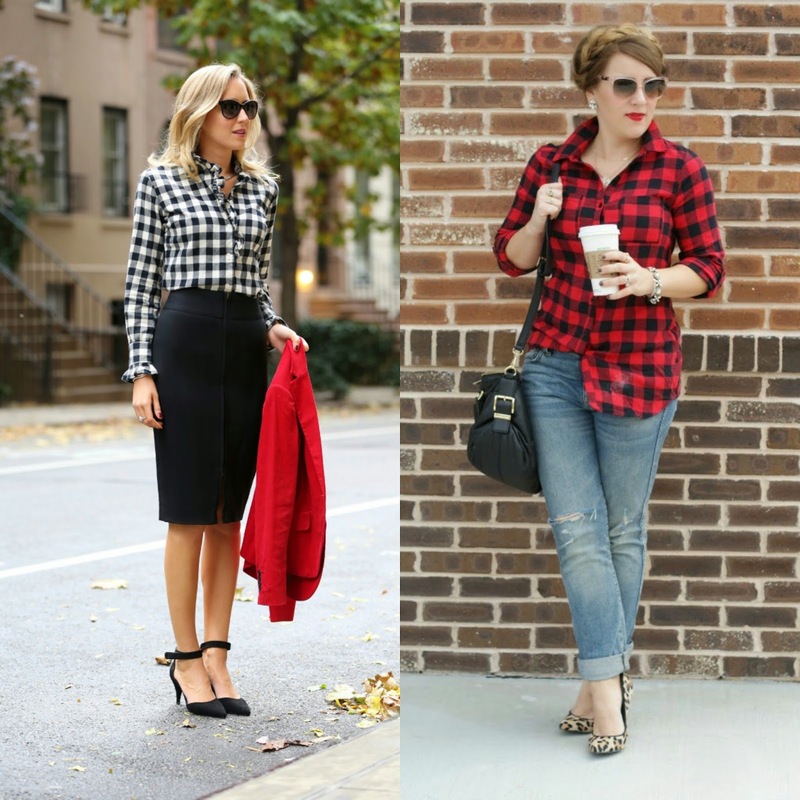 So excited that plaid is so big this year - it's so perfect for fall! I love these looks, so pretty! Love all these renditions - so cute! I love the slightly dressier / work appropriate outfit - shows how versatile the print can be! I do love plaid!! It's one of my favorite prints. I love the look! Definitely need to try this out soon! Maybe pair a plaid top with some black skinnies. Love all of these looks, especially the scarf! This post just made me realize that I don't have any buffalo plaid in my closet. Must fix that immediately! Love that pattern mixing! I am so terrible about pattern mixing, but I love the way it looks on people who know what they're doing, haha! All of these looks are perfect!